Whether your new Acura car needs repair or it’s time for scheduled maintenance on your pre-owned vehicle, our Acura service center has you covered. Our expert technicians have years of experience, OEM car parts, and a state-of-the-art facility to use to get your car back on the road fast. Whether you need a simple oil change, tire rotation, brake service, or major repairs, the capable team here at Acura of Berlin is here for all of your auto service needs near New Britain. When you’re in need of Acura service near Middletown, you can simply schedule your service appointment online. 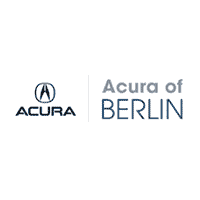 If you have questions or need additional assistance, don’t wait to call us or contact Acura of Berlin online. We’d be more than happy to speak with you! For added savings, you’ll also want to take advantage of our rotating auto service coupons where you’ll find oil change coupons, free brake inspection and more. You can also learn more about our accelerated services available. And, if you’re in the market for a new model, check out our extended and factory Acura warranties available to protect your new vehicle.